While you may initially come to Paris and love practicing ordering glamorous meals in French and enjoy all that French cuisine has to offer, when you stay in France for a longer period of time you will eventually miss particular comforts from home. Yes, I am talking about American or English comfort foods, as well the absolute necessity to speak English in select places where your French vocabulary does not extend. The INSIDR team, as it is comprised of many expats living in Paris, has created this article to refute any arguments that anglophone products and services do not exist in Paris! The Grande Épicerie is not only an incredibly beautiful and fun food hall to spend the day shopping in, but it also has an entire row of food shelves divided by areas of the world. The sections include American, British, Italian, Indian and Asian products, imported for expats living in Paris from all over the world to enjoy. Prices for your favorite treats will naturally be higher than they are in their home country, however for country-specific holidays such as Halloween, the Grande Épicerie may be the answers to your prayers as homesickness can often set in around certain holidays you might be missing. For more American products, you can head further into the 7th arrondissement and shop at The Roy McCoy shop. Marks and Spencer, one of Great Britain’s leading grocery stores, is very much present in the city of Paris. 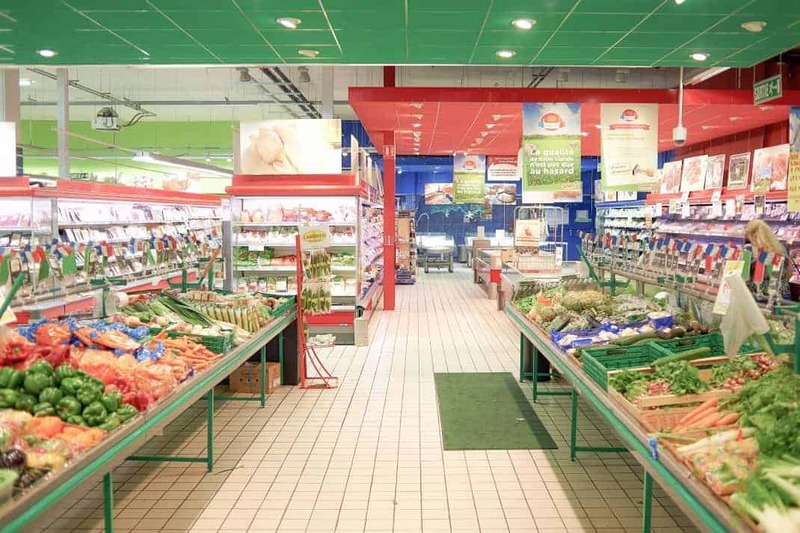 With over 10 locations within Paris, Parisians themselves have even begun to shop for their groceries there. While M&S sells traditional produce, poultry and drinks, they also have many pre-prepared dishes and quick-bites for lunches on the go, which make many of their smaller shops in Paris great for a cheap and tasty lunch. Stephanie Vanderlip, American hairdresser based in Paris, has many clients that are expats and as an American herself who fully speaks and understands you hairstyle desires in English, her work does not disappoint. Most salons in Paris will however have english-speaking stylists, such as Polished Hair Care and David Mallet. At these salons, while some hairdressers are English-speakers, you still must request an English-speaking hairdresser upon booking. If you are most comfortable with a native English speaker, Stephanie Vanderlip’s studio in Paris is waiting to hear from you! One of the greatest fears of both tourists and expat residents of foreign countries is getting sick and not being able to communicate with doctors. Luckily in France, there are extremely helpful pharmacists in pharmacies on nearly every block that will be able to provide you with remedies for any symptom you may have. Additionally, there are many English speaking doctors that you can make a same-day appointments with for a co-pay of less than 70€, should you need specific medical attention. Lastly, there are quite a few “Anglo-American” pharmacies in Paris that have American and English products and medicines if you are in need of something specific from your home. For all you yogis out there, there is no need to stop your practice when traveling to Paris! Because of the large expat community in Paris, many studios have classes taught in English, and they are really well-attended. For a traditional vinyasa yoga class, Yoga Yoga Paris in the 7th arrondissement is where to go, and for bikram yoga, Yoga Bikram Paris has many classes taught in English as well as 2 different locations within Paris. If you are not willing to give up your exercise regime during your vacation in Paris, Health City is an excellent gym in multiple locations throughout Paris that allows day-passes. This gym has all the equipment that you may need or want, in addition to fun workout classes. If there’s a big football, hockey or even rugby game you may be missing back home, many bars in the Latin Quarter in Paris screen foreign games and there is usually a large expat crowd. While many bars screen European football (soccer), select internationally owned bars will also have international sporting games to watch. One of these bars is The Great Canadian Pub, just a couple minute walk from Notre-Dame and The Moose, close to the Odéon metro stop. Another pub is called The Bombardier, just next to the Pantheon. The Bombardier is a British pub and will usually display sporting events pertaining to Great Britain. Often times bars such as the ones listed above will advertise the games they will be screening on chalkboards outside, so don’t forget to look around during the day for advertisements about what games you can watch!